Taking the time to create a plan for training your dog is important. Learn how a well-developed plan creates an opportunity to identify specific goals for you and your dog which can focus the training process and make it a success. Good training is essential to ensure a happy dog, and of course happy owners. When a dog is well trained, he can play a proper and meaningful part in the household, providing enjoyment and companionship. On the other hand, an untrained dog is a constant concern. If a dog behaves badly, this can result in stress for all concerned and ultimately spoil the experience of owning and caring for a pet. At worst, an untrained dog can be a danger, running wild and causing accidents. Luckily, most dogs actually enjoy being trained and thrive when they know they're pleasing their owners. When a dog is well trained, he knows the rules and will happily follow them. Drawing up a training plan is extremely helpful, but make sure your initial goals are simple. A young dog in particular, although eager to learn, will not be able to perform difficult tasks until basic training is learned. A well thought out plan ensures the most important aspects of training are clearly identified. 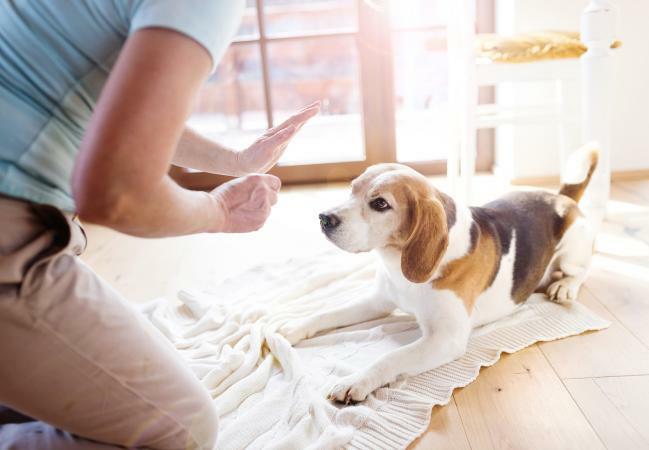 Ian Dunbar, Ph.D., a renowned animal behaviorist, author, and founder of the Association of Pet Dog Trainers, explains how to create a dog training plan that works for your family. 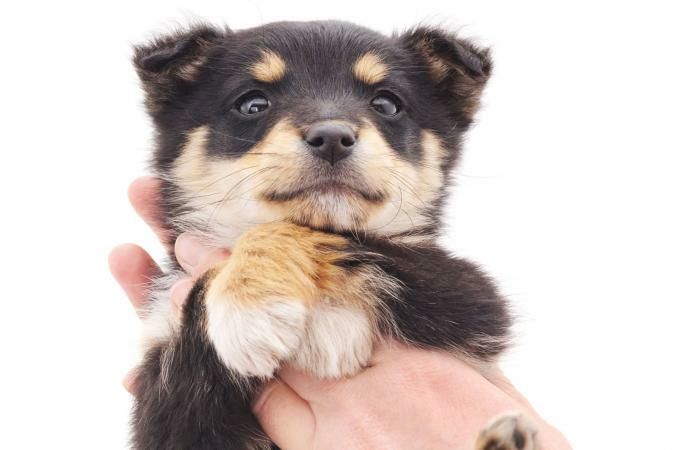 If you're going to be a part of your dog's life from the beginning, you can get your dog training started when he is just an infant. "It is best to begin neonatal handling at around the age of two to three weeks old," Dr. Dunbar said. If your dog comes into your family after eight weeks of age, Dr. Dunbar recommends starting the dog's training right away." At eight weeks of age the clock is running. Puppy training needs to begin early to help the puppy grow into a balanced dog. Waiting until the age of six months can result in 'too little, too late'." You can train your dog at any age, but the earlier you get started, the more likely your dog will be able to pick up what you're trying to teach him. Adult dogs may have formed bad habits from a prior home, or may have never been in a home and are not properly socialized. If you decide to adopt an adult dog, Dr. Dunbar stresses the importance of immediate training. "Begin training the moment you get your adopted dog home. He will be alert and aware of his new surroundings; take advantage of this time to teach him the new rules," he said. "Do the same things with your rescue dog that you would with a new puppy. Keep him from making mistakes such as chewing and house training accidents. Hand feed him his kibble to help him bond to you and the rest of his new family. Also use this hand feeding time to teach basic manners." For most people, the main goal of dog training is to teach basic commands such as potty training, coming when you call, and sitting when you ask him to. Dr. Dunbar recommends beginning with "errorless house-training." Ensuring a dog is house trained is probably the most essential feature of training for most people. A dog that is not house-trained is a huge problem and if it is not addressed early on, the issue can get out of control. Begin by walking a dog outside on a leash and telling him to "go potty." When he does, reward him with a pet and a treat. Eventually you can lose the leash, and before long, your dog will get the idea that outside is the place to go. Most dog owners enjoy letting their dogs off the leash and allowing them to run freely. Knowing your dog will return when called is vitally important. If your dog will not return, he may get lost, run into roads and cause accidents. At the very least, it's frustrating running around the park trying to retrieve a dog that thinks the two of you are playing a game. Use a calm but authoritative voice when calling his name. When he comes after being called, reward him with pets and treats. Teaching your dog to sit is an important requirement and should be a priority in any training plan. Once your dog understands and obeys this command, you can get his attention and have control over him any time you need it. This can be essential in situations where other people and dogs are around. Gently push on your dog's bottom to the sitting position as you say "sit" and reward him with a treat and a head scratch. Difficult tasks, such as jumping through hoops or playing dead, should not be introduced until your dog has these basics down pat. Some owners prefer to get outside help when training a new family pet. Professional dog trainers typically work according to a training plan devised to cover the basic requirements a dog needs to learn to fit in with his family. However, it is important to share your personal requirements with any trainer you may hire so she can work with you to devise a customized plan that will fit your needs. Dr. Dunbar recommends obedience classes for any dog to ensure proper socialization. "Your puppy must go to class so that he has opportunities to play and learn bite inhibition from the other puppies," he said. "The secondary reason for puppy class would be the opportunity to socialize with the other people in the class. 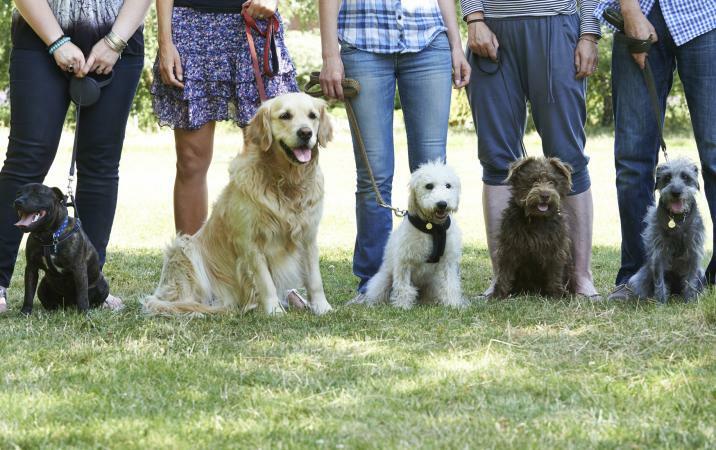 The other important benefit of puppy class is to learn about training your dog under the guidance of a trainer who understands puppy issues and can help you prevent them." There is a myriad of sources online you can refer to for assistance with training your pet. Training videos can assist with tips and tricks to teach you how to get your dog to listen and obey your every request. Dr. Dunbar created the blog Dog Star Daily, which features all the resources necessary to assist with dog training. "This website offers a wealth of free dog training tips about basic manners, preventing and resolving behavioral issues, and other information useful to dog owners," he said. "We also have approximately 1,000 videos available, as well as many hours of Internet radio programs about dog training." Keeping the following tips in mind will help you develop a dog training plan that everyone can live with. Involve your entire household to ensure consistency. Limit your initial training plan to a few key priorities. Post the basic plan where everyone can see it, perhaps on your refrigerator or note board. This way everyone will have a reminder to keep him on track for success. Once you've set your goals, it's extremely important that the entire household gets involved to provide consistent, positive reinforcement to your pet. Training is an important part of dog ownership. With time, patience, and lots of repetition, you can teach your dog all the necessary skills dogs need and establish yourself as the leader of the pack.